I'm taking a page out of a friend's book today. 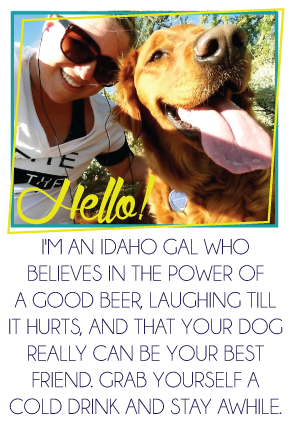 The lovely Brittany did a list of her favorite summer beers earlier this week and I was a tiny bit jealous I didn't think of the idea first. Especially as a self proclaimed "beer lover/drinker." So full credit for the idea goes to Brittany but, I'll fill you in with my favorites so you can drink them along side me all summer long! 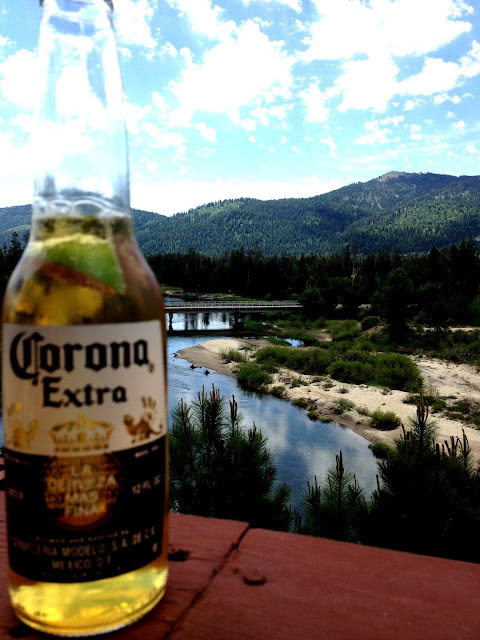 The good news is there are ALL TYPES of summer beers to get you through the sweltering summer months! 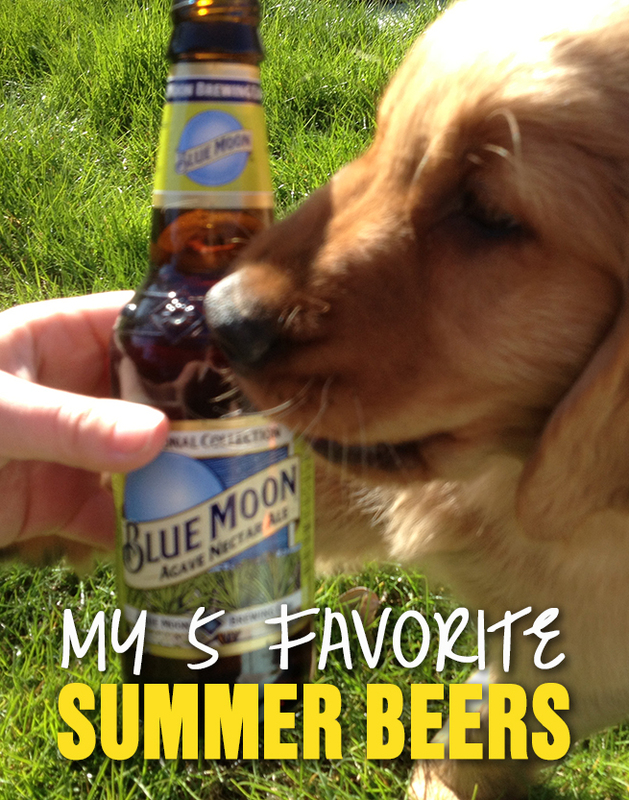 Here are my top 5 summer beers, categorized so you can find the perfect one for you! "A traditional shandy is beer mixed with a little something extra, like lemonade, soda or ginger ale. 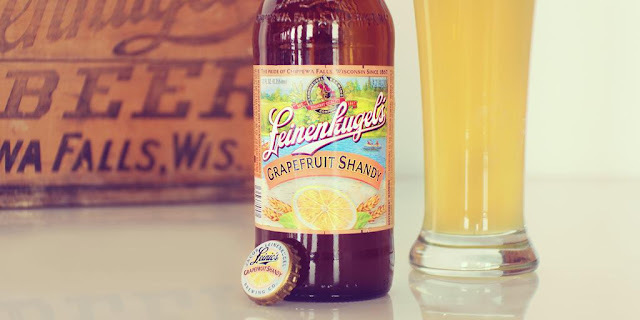 Leinenkugel's® Grapefruit Shandy is our take on this tradition. Each batch begins with our traditional Weiss beer. We then combine it with natural white grapefruit flavor that adds a note of fresh-cut citrus to brighten a great day by the lake." Any Leinenkugel's Shandy and you're pretty much set for a hot summer's day. So fruity and refreshing! I love the classic Summer Shandy, with lemonade, but the Grapefruit Shandy is something special. It's not for the faint of fruity heart, it's very grapefruity, so if you aren't a grapefruit fan this one might not be for you. 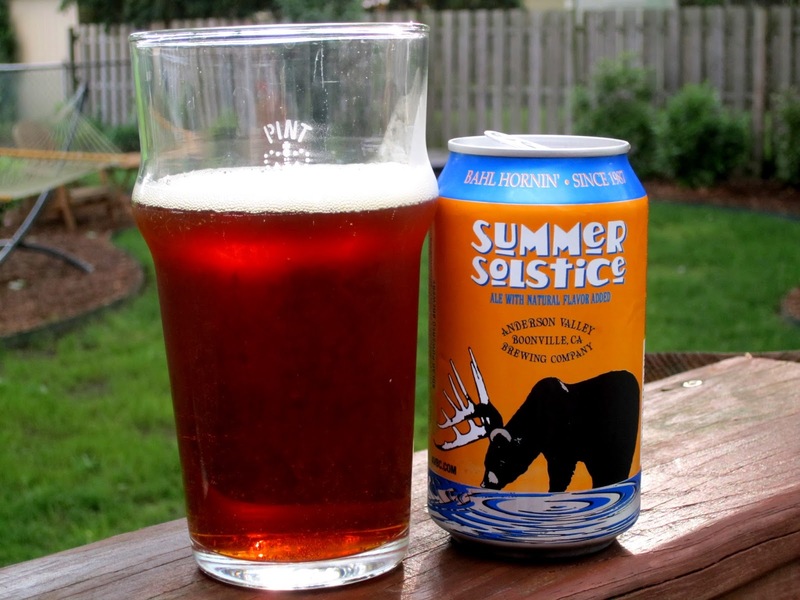 "Summer Solstice® is a slightly sweet, malty session beer with a creamy mouth feel and clean finish. With hints of caramel in the nose and a touch of spice, it’s become affectionately known as “cream soda for adults”. The unique flavors and superior drinkability make for the ultimate refreshment on a hot summer day." You guys, this is beer is in my top 5 all time favorites. LOVE IT. I mean they call it the "cream soda for adults" how much more yummy can I make it sound? It's darker in color, but light in taste, smooth and just creamy enough to have that "dark beer" feel. It has a little spice to it. So good. Really, highly recommend. Plus I mean, a bear with antlers, can it get any better? "This mouthwateringly delicious IPA gets its flavor from a heavy helping of citra and mosaic hops. Don't worry, no fruit was harmed in the making of this beer." I'm not a fan of IPAs period. I don't personally like a hoppy beer. But this one has just the right balance of citrus for me to drink it all summer night long. Careful - like most IPAs it packs a punch! 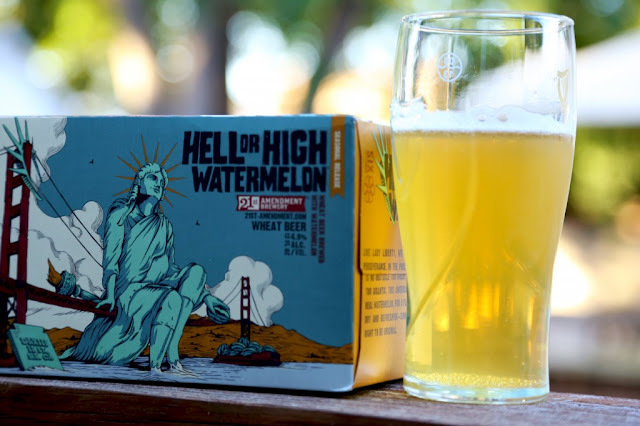 "American wheat beer, which undergoes a traditional secondary fermentation using fresh watermelon. A straw-colored, refreshing beer with a kiss of watermelon aroma and flavor." This is one of those beers that surprises you. I expected sweet. Not this beer though. Somehow they captured the crispness and flavor of the watermelon without making it overly fruity or sweet. I know it sounds crazy - but it's true. Try it and you'll see what I mean. It's totally different! I have to go with Brittany on this one, nothing says summer or "let's hit the beach" like an ice cold Corona. Lime is a must. And if you're really wanting to relax, try it loaded with a shot of lime flavored liquor! There are probably hundreds more great summer beers. I'd love to hear what your favorite is! Oh man. Love those. Light summery beers are some of my favorites. 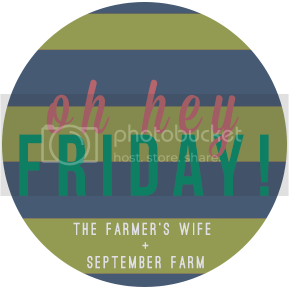 Thanks for the shoutout--too kind! I HAVE to try the grapefruit shandy! i love a classic summer shandy! i will have to try their grapefruit one though! All great choices!!! We also love Shipyard's Melonhead. Another great watermelon beer. I hate IPA's, but you made good choices otherwise. haha. You better stop by next week and link this bad boy up to Thursty Thursday. I love that you threw your dog in the photo for the post ;) hehe! Here I was thinking I was the queen of Leinie's and I didn't know there was a grapefruit shandy. DEFINITELY need to check that out! Maybe I'll make it my go-to when I tour there this summer. I'll just be that annoying woman asking if I can try it because I heard about it. You have some great choices here!! 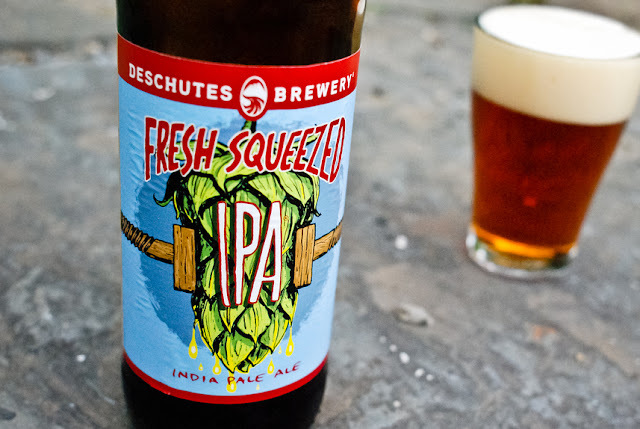 I haven't tried the Fresh Squeezed because I am not an IPA fan though, but I like the rest! Have you tried Stiegl Radler? It is a Grapefruit one that is sooooo refreshing! One of my top favorites. Also, 1809 Berliner Weisse is great too! I'm a huge Leinenkugel fan. I haven't had grapefruit yet, I couldn't find any around here. Hopefully when we go on vacation I'll find it, different area and all. In the summer, I tend to crave alcoholic lemonades and teas. Twisted Tea and Mike's Hard products are two of my favorites. I also like the Bud Light 'Rita drinks, but they are very sugary. I often mix them with a regular light beer or some club soda.